An air force of fun! Kids can create their own squadron. Includes crayons and FREE guide. Balsa wood construction. 8" wingspan. Kids or clients will love to personlize these high-flying planes. 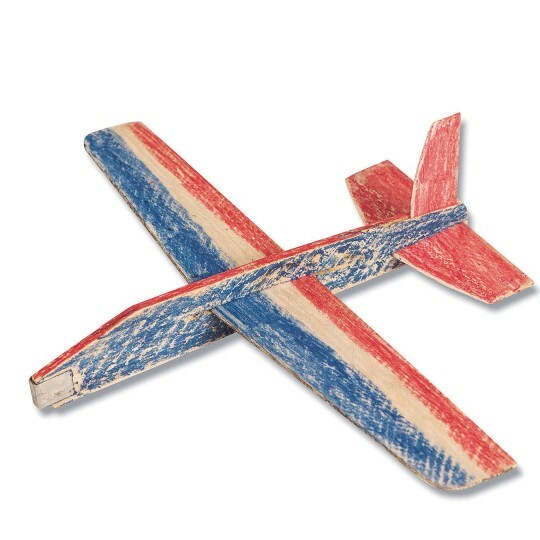 These balsa wood gliders come with crayons and a FREE guide with instructions. Cloud Climbers have an 8" wingspan and come in a pack of 36. My cub scouts went totally wild after they easily assembled their airplanes. As they played with their airplanes they flew their planes up and down the halls of the building and out in the parking lot. The cold weather did not deter them from playing with their airplanes outside. We've used other balsa planes that worked great. These planes are not balsa and appear like the wood used for popsicle sticks. Wing does not stay in place without glue. Planes are too heavy and do not fly. 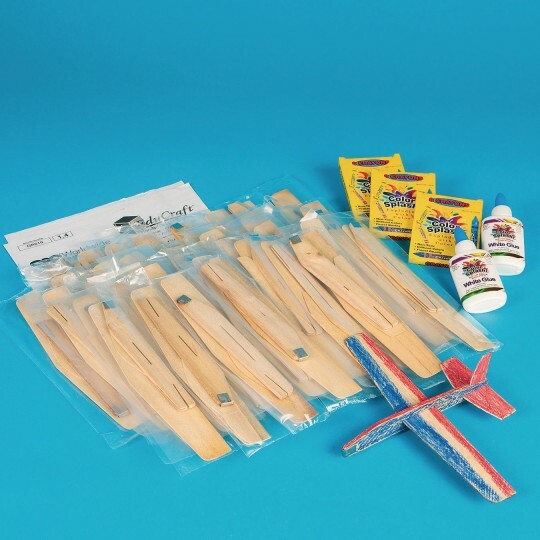 The kids love these to decorate the airplanes but you better buy extra because it is made of very thin balsa wood and can break easily when assembling. Color them first I use markers I then make a course for the cloud climbers to run. It turns a 15 minute decorating time into a longer activity for kids of all ages. The children loved making these planes and enjoyed bringing them home to play with as well!! !